As the field of health care experiences record growth in response to an aging population and increased access to coverage, more and more certified nurse assistants are finding steady and rewarding employment in acute care and long-term care settings. Long term care facilities, in particular, are opening their doors and pockets to professional caregivers. If you have a fascination with health care and a genuine desire to help others lead active, fulfilling lives, a rewarding career in patient care may be just what you need. Federal and state defined roles for a CNA revolves around care in a long-term care setting. However, you don’t have to limit your search to long-term care as hospitals, clinics, physicians’ offices, and home health care agencies also hire competent workers to work under the direction of a licensed nurse. Certified nurse assistants, also called Nurse Aides (NA), Unlicensed Assistive Personnel (UAP), or Personal Care Aides (PCA) work in a wide variety of settings, ranging from nursing homes, assisted living facilities, hospitals, adult day cares, and personal homes. In Ohio, they’re known as State Tested Nurse Aides (STNA) or Licensed Nurse Aides (LNA) in Arizona and Vermont. Whatever they’re called, the path to certification (licensing) and basic responsibilities remain the same. CNAs support patients with their personal care and health care needs under the direction of a licensed nurse. They serve patients of varying ages and are helpful liaisons between the licensed nurse and patient, relaying critical information that could impact the patient’s health. A CNA must have a strong work ethic as the job can become intense and fast-paced. Certified nurse assisting represents one of the fastest means of entry into nursing. The low barriers to entry pave the way for anyone with a desire to help others to prepare for direct patient care. In most states, the absence of a high school diploma will not restrict you from practice. But if you plan to advance to other careers in health, you will need high school diploma, at a minimum, to enroll in a degree or diploma program. The profession is expected to realize unprecedented growth due to an aging population that will require more medical attention over the next decade. Many CNAs move on to other careers in health or outside of health care, which creates a high turnover rate for the profession. Also, some experienced CNAs approaching retirement will also create vacancies as they leave the workforce. The ongoing demand is compounded by the fact that fewer people are enrolling in training programs, as compared to the past decade. Meanwhile, the Department of Labor1 expects employment to increase by 17% between the years 2014 and 2024, which is faster than the average growth rate for all occupations. CNAs may be able to choose work schedules that fit their needs. Day, night, and weekend shifts may be available, depending on the facility. They can also choose from a great variety of work settings, from home health care, hospice care, hospitals, or extended care facilities. Moreover, they work with people of all ages and perform tasks that vary from rehabilitation to disease prevention. Through continued education, CNAs can become a licensed nurse and explore an even wider range of career opportunities. Serving on the front lines of patient care, CNAs assist patients with their daily personal needs, including bathing, dressing, toileting, and cleaning rooms and beds. The non-invasive tasks may seem rudimentary at first. But the demands of attending to a patient’s personal care needs, that they’re unable to do for themselves, can take a toll on the faint of heart. The personal nature of the job requires an individual to be respectful and kind. Moving patients from the bed to a wheelchair and supporting them in the bathroom, positioning them in the bed, and constant standing and bending require a certain level of physical fitness. As liaisons between patients and other medical professionals, nurse assistants must have keen powers of perception to record and convey critical information concerning the clients in their charge. The shortage of staff at most facilities increases the need for personnel who are responsible, flexible, and reliable. CNAs work closely with licensed nurses, so they must be respectful of authority and capable communicators. Nurse assistants are pretty amazing. Nurses couldn’t function without their input and constant monitoring of patients. Patients and their families welcome the support they provide through their most intimate moments. The benefits of being able to lend support go beyond the tangible. Those who succeed measure their success from the sense of personal fulfillment gained from combining their innate qualities with practical training. Do you have what it takes to become an exceptional CNA? CNAs have the privilege to comfort patients through their physical, mental, or emotional distress. The work is not meaninglessly repetitive. However, it is challenging, exhausting, and distressing in the initial stages – if your expectations aren’t realistic. Duties depend on the environment, but will always involve the provision of intimate, hands-on care to patients. In spite of the physical demands and unpleasant duties, CNAs have the opportunity to build strong relationships with patients as they interact with them on a regular basis. They work with patients of all ages, caring for them under the supervision of a registered nurse. Staffing shortages at nursing facilities place nurse assistants in the challenging position of caring for too many patients at once. The hierarchical nature of the healthcare team can also increase the burden as some nurses delegate unwanted tasks, such as cleaning bedpans and bathing patients. Fortunately, the majority of nurses recognize the contributions of CNAs and hail them as the “most needed member” of the healthcare team. Nursing Assistant training will help you prepare for an entry-level position in healthcare where you’ll work under the supervision of a licensed nurse. The curriculum will cover the basic skills you’ll need to work in an acute care or long-term care setting. The Omnibus Budget Reconciliation Act of 1987 (OBRA 87)2 mandates at least 75 hours of lecture and practical instruction in a clinical setting. However, many states exceed OBRA 87 requirements for nurse assistant training, going up to 180 hours of intensive training to prepare students for quality patient care. There is much to learn, so the program will cover a broad range of topics in the classroom and skills lab followed by supervised clinical experiences, usually conducted at a long-term care facility. The instructor will be a licensed registered nurse in active status who has demonstrated competence in teaching techniques. The training must emphasize the preservation of the patient’s safety, individuality, privacy, dignity, and confidentiality. The Role of a Nurse Aide: The types of skills that you’ll perform as a nurse aide and the characteristics of a caring and competent nurse aide. You’ll learn basic nursing skills, interpersonal skills, and personal care skills. This unit will also cover the requirements for certification in your home state. Infection Control: Links the chain of infection to your daily activities in a long-term care facility. Here, you’ll learn the importance and proper use of personal protective equipment, why residents are at risk for infection, and principles for breaking the chain of infection. Safety and Emergency: Your role in maintaining a safe environment for residents who are at risk for injury. You’ll also learn how to deal with emergencies in a health care facility. Communication: The importance of culture when communicating with residents and successful and unsuccessful methods of communication. Laws and Ethics: Ethical conduct, the role of the Nurse Aide Registry, residents’ rights, and the importance of securing consent before providing care. Examples of abuse, neglect, and misappropriation of property, and the types of laws – criminal and civil – will also be covered. Dignity: How to treat a resident with dignity. Basic Restorative Care: Your role in the provision of basic restorative care and the process of bowel and bladder training. Body Systems: The structure and function of the cell and body systems, such as the respiratory system, immune system, cardiovascular system, and reproductive system. Body Mechanics: The principles of body mechanics to prevent injury and to safely assist a falling person. Nutrition: Nutrition and fluid requirements for an older adult and the calculation of dietary intake, fluid intake, and output. Appropriate Use of Restraints: the negative effects of restraints and how to create an environment for restraint elimination and reduction. Communication with the Health Care Team: Importance of communicating effectively with the health care team and the relation of HIPAA to reporting and recording. The Nursing Process: Your role in each step of the nursing process. Incident Reporting: Events that require an incident report and information to include. Critical Thinking: The importance of thinking critically and the five questions you should ask in order to do so. 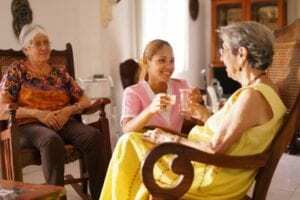 Family and Family Support: How to support the resident’s family members and the importance of family support to the resident. Cognitive Changes: Age-related cognitive changes and the importance of pacing and patience. Psychological Effects of Aging: how to care for depressed, agitated, and combative residents and understanding the psychological effects of aging. Dementia and Alzheimer’s disease: How to care for a resident with Alzheimer’s. Mental Illness: Your role in reducing patient agitation. Pain: Your role in pain management. End of Life Care: Your role in end of life care and the influence of cultural differences. The NA graduate armed with the proper education and training will be capable of providing nursing care under the supervision and delegation of a licensed professional nurse. Satisfactory completion of the program provides eligibility to take the state’s established written and skills competency exam for state certification. CNA Classes provide an immediate benefit, equipping the student for patient care in a medical setting. However, the courses can also serve as a career ladder in the field of health as CNA training is a requirement for enrolling in a nursing degree program in many states. This section of the guide would be incomplete without mention of online CNA programs. While the overwhelming majority of programs are available in a traditional campus setting, there’s an emerging trend of online CNA training. These may be acceptable in ‘challenge’ states where the student can get familiar with the course content and brush up on the skills requirements in preparation for the competency exam. A few State Boards recognize programs that offer hybrid training where the lectures are made available online followed by a clinical component that takes place in a long-term care facility. Since there is no national body for the accreditation of nursing assistant programs, it is important that you look to the State Board or Registry for guidance when selecting a traditional or online program. Apart from the State Board’s recognition, the online program should include a component for in-person test preparation, a lab for skills practice at your convenience, and supervised patient care experiences in a licensed nursing facility. Make sure the instructors have the education and experience and training to deliver the material in any setting. 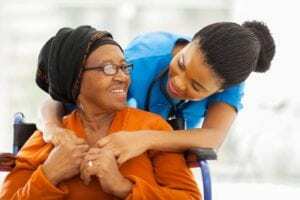 In every state, a prospective nurse assistant must pass a competency exam to be listed on the Nurse Aide Registry and secure approval to work in a nursing home. The individual will then carry the title CNA, LNA, RNA, or STNA as defined by the state. The training provider will, in most cases, include a test prep module in the program to get students prepared and make arrangements for graduates to take the test at their facility or otherwise. If you plan to challenge the test in Florida or another state where it is an option, you’ll need to prepare for the test by reviewing a nurse assistant textbook and skills videos and make arrangements with the state-recognized testing authority to take the exam. Remember, you’ll only have one opportunity to pass the test using the ‘Challenge’ option so study diligently to make the most of your opportunity. National testing providers, such as Pearson Vue, Prometric, and Headmaster, all have Candidate Handbooks that you should review as part of your preparation. It will include an overview of the exam, what to take to the test center, procedures for registering for the test or rescheduling, practice questions, and the skills list with the appropriate steps for each skill and the critical element steps highlighted. In other words, the Candidate Handbook is a valuable resource that you should not neglect. The actual CNA exam format varies by state, but most consist of two parts; the Written exam (or Oral alternative) and the Skills Evaluation. The Written test will be made up of multiple choice questions (60 to 75 questions) covering all aspects of care covered in the training. The timed test is usually about 1.5 hours. The clinical skills evaluation will be administered in an area that is set up as an actual caregiving environment. All the equipment you’ll need will be provided and another candidate will play the role of a resident. This component of the test will also be timed, and you’ll have to perform 4 to 5 skills without missing any of the key steps. Handwashing and recording a measurement are common requests. Other duties may include positioning a patient, weighing a patient, or feeding a resident who cannot feed himself. One of the first steps to becoming a CNA is to check your state’s requirements to see if there is any requirement that will preclude you from certification. For instance, certain criminal convictions will result in denial of your request for a listing on the Nurse Aide Registry. Enroll in a nurse assistant training course: Admission criteria vary by provider. Many will accept students who do not have a high school diploma but will administer an entrance exam to assess the prospective student’s level of reading and comprehension. A criminal background check, CPR certification, physical assessment, immunization, drug screen, and TB test may be required.Training providers, such as the American Red Cross, include CPR certification in the cost of training. Most require applicants to attend an information session before the class begins. The schedule, part-time or full-time, and state mandated contact hours (75 to 150 hours) will affect the program’s duration. Fast-track programs in some states may be completed in just 2 weeks. Always check the State Board’s list of approved programs before applying for nurse aide training. Pass the State Nurse Aide Competency Exam: If you’re planning to challenge the CNA exam, begin at this step – after reviewing the course material. Otherwise, you can apply for the exam after receiving a certificate of completion from the training provider. You’ll need to submit documentation of your training to the approved testing agent if you’re taking the exam as a New Nurse Aide. Your CNA School may assist you with this process or make arrangements for you to take the exam at their state-approved testing facility. Your name will be added to the Nurse Aide Registry after you pass both the Written and Skills Evaluation and meet any other state requirements for certification. If you fail one or both parts of the exam, you’ll receive instructions for retaking the part(s) that you failed. Also, if you challenged the test and failed, you may have to enroll in an approved training program before retesting. Start work as a CNA: Federal law permits nurse assistants to work for a period of 120 days before certification. However, you can continue to work legally within the scope of practice for CNAs once you’re listed on the Nurse Aide Registry. Finding a job is fairly simple, as many students receive job offers during their clinical externship. Long-term care facilities are always in need of capable professionals to fill vacant positions, so update your resume and find that new job. Remember, a CNA must practice under the supervision of licensed nurse, so beware of offers to care for patients in their personal homes where there is no registered nurse to supervise your activities. The expiration of your certificate depends on the state. Some states require annual renewal while others are biennial. The requirements for renewal also depend on your home state. A common requirement is to provide at least 8 hours of practice within the certification period. Reports of abuse, neglect, or misappropriation of patient property will affect your ability to renew your certification. Continuing education requirements for renewal varies by state. Check with your State Registry to determine your renewal obligations. A CNA’s salary may be on the low end or an average entry-level salary at best. For someone seeking a better salary and opportunities to make a greater impact on patient care, a nursing assistant job may not be a long-term goal. If your desire is to be actively involved in the diagnosis and treatment of patients and to be involved in the development and implementation of patient care plans or even to move into a specialty area or bring access to healthcare in rural areas, then nursing assisting may be your stepping stone to a bigger and broader career. As a CNA, you’ll get an inside look at the profession of nursing and determine if it’s truly your long-term goal before you make a commitment of time and money. Your experience will give you an edge during the competitive enrollment process at numerous nursing schools. In fact, many schools are requiring CNA certification and experience from prospective nursing students. The salary you earn as a CNA may be a much-needed help in paying for a costly two or four-year degree. Using the insight that the Bureau of Labor Statistics provides for CNAs, you’ll see that employment opportunities for nursing assistants, attendants, orderlies and related positions will not slow down. 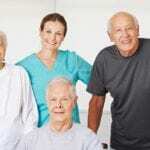 The BLS attributes the growth to the long-term care needs of an elderly population. However, the industry has a high turnover rate, which is a significant factor in the ongoing need for new staff at long-term care facilities. CNAs earn a median of $8.55 to $14.97 per hour. Add the wages to the high physical and emotional demands of the job, and you’ll understand why so many leave to pursue other jobs in healthcare. The direction you take will depend on your interest, job outlook, finances, prior education, and commitments. Home health aides care for patients, who are physically, emotionally, or mentally ill or injured, in the comfort of their own home. They monitor the patient’s condition, maintain a safe and secure environment, provide personal care, educate family members on proper patient care, and administer oral medications under the supervision of medical staff. 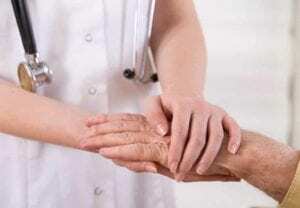 Patients may need short-term care during recovery or extensive long-term care. 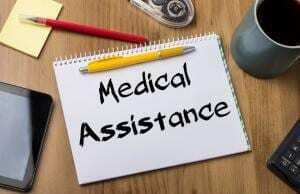 A certified medical assistant has the training to perform administrative and clinical duties to ensure medical facilities run smoothly. Administrative duties include answering telephones, greeting patients, filing patient records, managing admissions, scheduling appointments, and handling billing, correspondence, and bookkeeping, Clinical duties include drawing blood, perform basic lab tests, prepping patients for examination, authorizing prescription refills as directed, collecting lab specimens, and removing sutures and wound care. Pharmacy technicians assist pharmacists with the dispensing of prescriptions and other health care products. They must be familiar with the names of trade and generic drugs, sterile and non-sterile compounding, and how to count, label, and fill prescriptions for dispensing. Pharmacy technicians may also manage administrative duties in the pharmacy, such as preparing insurance claims, updating patient records, and maintain inventory. Emergency medical technicians, or EMTS, better known as EMTs, respond to emergency calls where they provide medical service and transport patients to medical facilities for continued care. Their quick action and competent care can mean the difference between life and death to a patient. Employment is widely available in hospitals, emergency medical clinics, and fire departments. Phlebotomists work closely with patients to draw blood for transfusions, tests, research, and donations. They may also draw other bodily fluid and tissue samples. Training programs prepare students to draw samples using skin puncture or venipuncture techniques. A licensed practical nurse works under a registered nurse to care for patients. LPNs provide basic care and may participate in the development, implementation, and evaluation of a patient care plan. Other duties may include drawing blood, wound care, checking vital signs, and updating patient records. Physical therapy assistants work alongside physical therapists in the rehabilitation of those who have been physically injured. They help patients regain their strength and normal functions. In some settings, PTAs work indirectly with patients, as their duties may be limited to prepping patients for a physical therapy session. A registered nurse works in a hospital, clinic, long-term care facility or other medical setting to create, implement, and assess patient care plans. They monitor patients and promote wellness as well as supervise licensed practical nurses and certified nursing assistants. A registered nurse may be prepared at the associate’s degree or baccalaureate level. However, the expanding role of RNs in patient care has created a demand for more nurses with a bachelor’s degree. How do I apply to take my CNA exam? Complete a CNA training program to be eligible to take the exam as a New Nurse Aide. In some states, you can apply to challenge the exam without completing nurse assistant training. Check with the State Board to find out approved testing providers in your State. Where can I take the CNA exam? If you’re enrolled in an approved nurse aide training program, check with the administrator to see if they offer the exam at their facility. They will be able to help you register for the exam at a convenient location if they’re not authorized to administer the exam at their facility. The CNA exam is usually 90 minutes for the written evaluation and 20 to 40 minutes for the clinical skills evaluation. It depends on the state in which you’re taking the exam and the skills assigned. Prepare to spend the day at the test center to collect results if they’re issued on the same day. What do I wear to take my exam? Dress comfortably in professional gear. For the clinical skills exam, you should wear loose-fitting clothing – scrubs or uniform are a great option – and flat, non-skid, closed toes shoes. Your training materials and textbooks may be all the resources you need to prepare for the exam. Review your notes and lecture presentations to prepare for the Knowledge exam. Practice your skills on a willing friend or family member to get familiar with each step, especially the key steps. If you feel that you need additional preparation, you may use free or paid practice tests to hone your skills and timing for the exam. What do I do if I challenged and failed the CNA exam? Most ‘challenge’ states allow one attempt to pass the exam – check with your state governing body to confirm. If you fail the exam on your first attempt, you will need to enroll in an approved nurse assistant program and complete the training before reapplying to take the exam. The time it takes to become a CNA depends on your state requirements for training and certification. Training requirements of 75 hours may be completed in just two weeks, and scheduling the exam and receiving your results and certification can take another week or two. In total, you can become certified in four weeks if you live in a state where the minimum required training is 75 hours. CNAs in other states where the requirements are 100 hours and above can become a CNA in 6 to 12 weeks. Remember that federal and state laws permit practice for a period of 120 days during which time you must complete the requirements for training and certification. What qualifications do I need to become a CNA? 18 years of age or parental consent if you’re 16 or 17. Not found guilty of certain crimes. How do I get free CNA training? Vocational schools, high schools, proprietary institutes, colleges, and rehabilitation facilities are the main suppliers of CNA training. State laws govern the content of the curriculum to some extent but they do not determine the fee structure for training. For this reason, there may be huge disparities in the training fees in a single area. If you cannot afford to pay the $500 to $1200 that it takes to complete CNA training, on average, you can look for rehabilitation facilities that provide free training in exchange for employment. Many long-term care facilities host monthly or quarterly programs in an effort to recruit new employees. They will cover your tuition, and even uniform and clinical supplies if you agree to the terms of training, which is usually a year’s worth of employment. High school students may secure free CNA training through health education programs, and youths between the ages of 17 and 24 can contact the local Job Corps for free training in their area. The American Red Cross provides quality training in many chapters across the United States and provides scholarship opportunities to qualifying students. Federal and state laws in most states require health care workers to complete a background check as a prerequisite to state certification, licensure, and registration. The background check and fingerprinting must be conducted in a specific manner and by a state-approved vendor. What if I have a conviction for a crime? A disqualifying conviction will prevent admission to a CNA program. In cases where the program does not require a background check, you may still encounter hurdles with the certifying agency when they conduct a background check. Contact the state board to request a list of disqualifying convictions prior to enrolling in a CNA program. Can I work in another state? If you’re currently active on your home state registry, you must apply for reciprocity in the other state before you begin working. Since each state has different requirements for certification, you may have to take another CNA competency in the state where you hope to practice and provide documentation of your active status on your home state registry and proof of identification. How long may I work in a licensed facility without being a Certified Nurse Assistant (CNA)? From your date of hire, you have up to 120 days (4 months) to complete the requirements for state certification and placement on the registry. I’m enrolled in a nursing degree program, can I accept employment as a CNA? You may work as a CNA after you apply for approval to take the CNA and pass both the Knowledge and Skills evaluation. You’ll need to provide a documentation of completing the Fundamentals of Nursing theory and clinical practice with a passing grade to obtain approval to take the nurse aide competency test. How much money do CNA’s make? A CNA’s salary is determined by place of employment, state, type of work setting, experience, and even by the availability of direct care professionals in the locale. In the United States, the average starting salary for $9.25 to $12.75 per hour. Read this article for a breakdown of CNA salary by state. Can I enroll in an online CNA program? In most states, online CNA training cannot replace traditional classes simply because a nurse assistant’s education must include practical training in a clinical setting. If the program is offered in a hybrid format where you complete the lecture requirements online and get your practical training in a clinical setting, you may be able to get by – as long the Board approves the program. Hands-on training is worthwhile, even critical, to develop good infection control habits, interpersonal relations, and acclimatize to the health care environment if you have no prior experience. The clinical experience will also help you prepare for success on the state competency exam, so its importance should never be discounted. It’s true that online programs are convenient and inexpensive, but the convenience may cost you in the long run. In ‘challenge states,’ you can enroll in an online program to prep for the exam as you won’t need to supply documentation of training before taking the test. The most important rule is to check with the Board to see if the program is on the list of approved providers. What is the Nurse Aide Registry? The Nurse Aide Registry in your state keeps track of all persons who are certified to provide services in state-licensed nursing facilities and skilled nursing facilities. Prospective employers can search the database to look up a potential employee’s status on the registry. Should You Pay for CNA Practice Tests?